Astrologer’s Datebook® is an astrological, week-at-a-glance, engagement calendar. 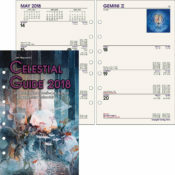 It has exactly the same information and design as the Celestial Guide—just in a smaller size. 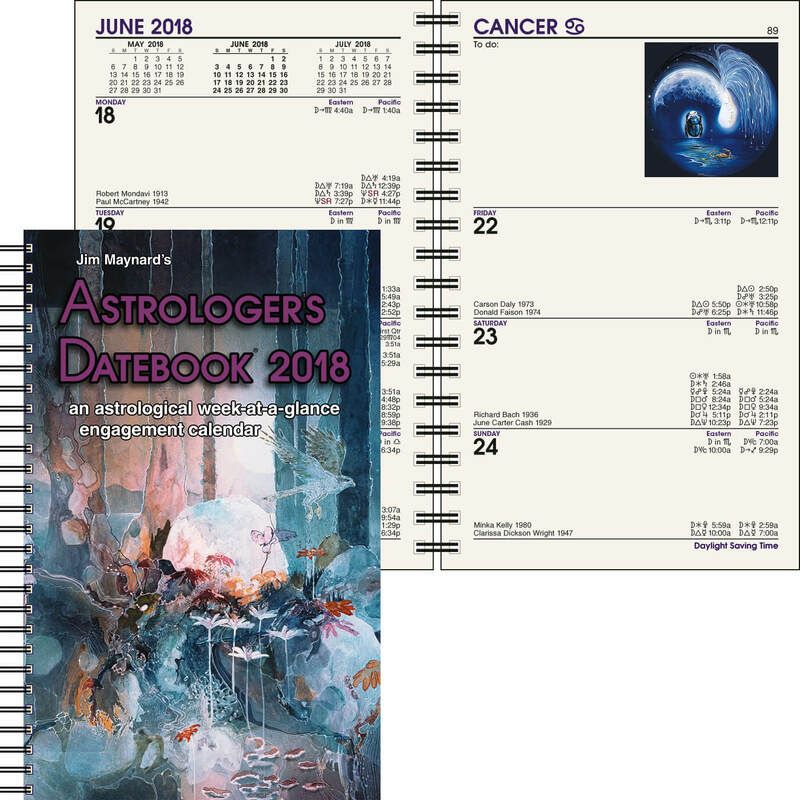 For 2018 Astrologer’s Datebook® is in full color. 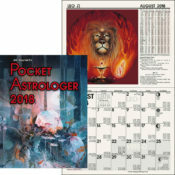 As in Celestial Influences and the Pocket Astrologer, each day gives lunar ingresses, lunar phases, void-of-course moon, planetary stations and ingresses, aspects, holidays, and celebrity birthdays. 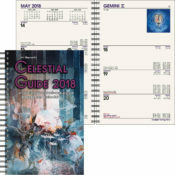 It also includes an ephemeris, explanatory text, an asteroid ephemeris, sunrise/sunset tables, table of ascendants, chart blanks, address book with space for birth dates and signs, and daily information for both Eastern and Pacific Time. 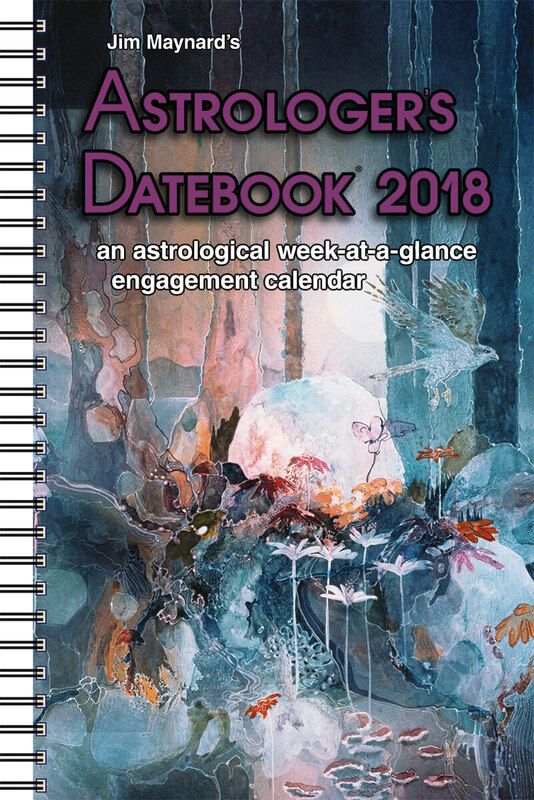 Astrologer’s Datebook® for 2018 is in full color. It has a double-loop, wire-o binding. 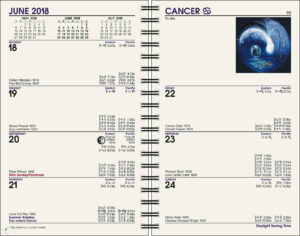 It can be left opened, perfectly flat and even turned-back on itself. 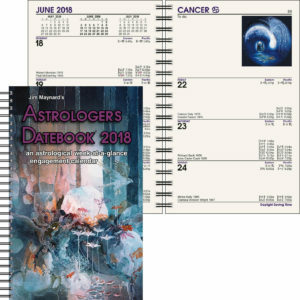 Includes Eastern and Pacific times, 4¼ x 6¾ inches, 176 pages, full-color text, full-color cover. 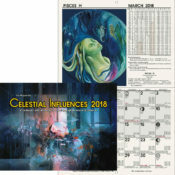 SKU: 2018AD. Category: 2018 Calendars.